One of my favorite indulgences is dinner at The Melting Pot. The Melting Pot is a fondue restaurant, and while I am not wild about the meat course of the meal, the cheese and chocolate courses are to die for. My favorite chocolate selection is “The Original” which is is a milk chocolate fondue, swirled with crunch peanut butter. They serve you things like pound cake, cheesecake, brownies, bananas, strawberries, and marshmallows to dip in it. So, so yummy. 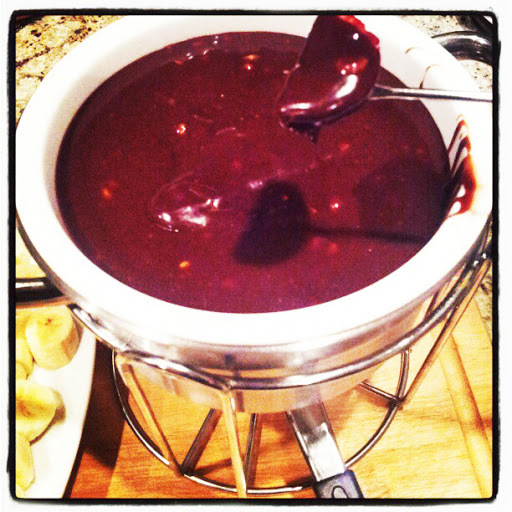 It was super easy to whip this up in about 5 minutes, and while I put mine in a fondue pot, reviews I read said that the chocolate stays melty even if you just put it in a bowl, so give that a try even if you don’t own a fondue pot. I served this with cubes of brownies, pound cake, strawberries, bananas, and Nutter Butter cookies. 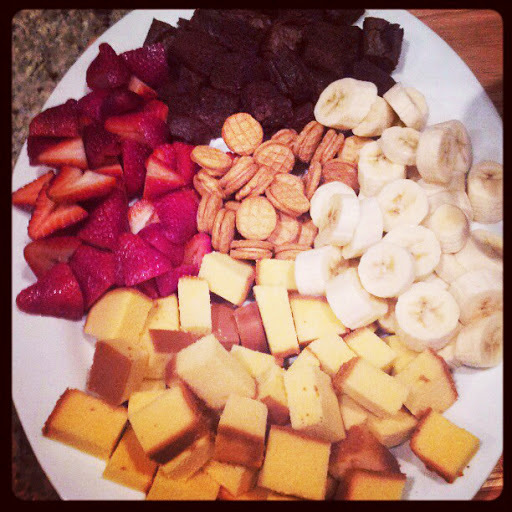 Dipping items, I used brownies, pound cake, strawberries, bananas, and Nutter Butter cookies. In a heavy saucepan, cook and stir the chocolate chips, sugar, half and half, and peanut butter over low heat until smooth. Transfer to a fondue pot and keep warm. 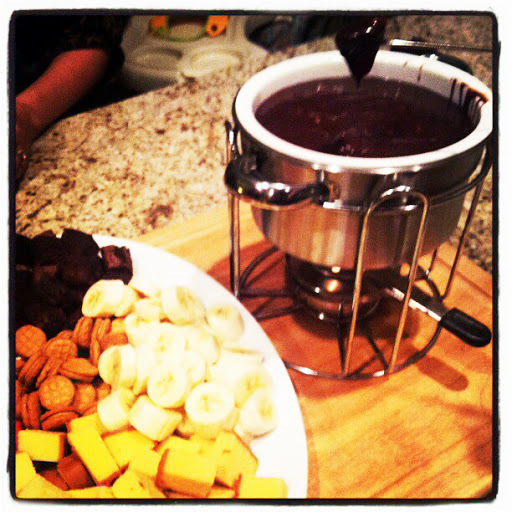 Wow, this is so fun, chocolate dip, i so love it!